Writers and journalists are always looking for an “angle,” the juxtaposition of two ideas that make a common thread novel and interesting to the reader. Composers and songwriters are always looking for a “hook,” a memorable musical or lyrical phrase that the listener can’t get out of his head. In going through my genealogy files recently, I came upon a short article in the truckers’ publication, Movin’ Out, entitled “My Dad’s First Truck,” submitted by my cousin Dave Gray in June, 2007. The piece was about his dad, my late Uncle Merle (1927-2013). 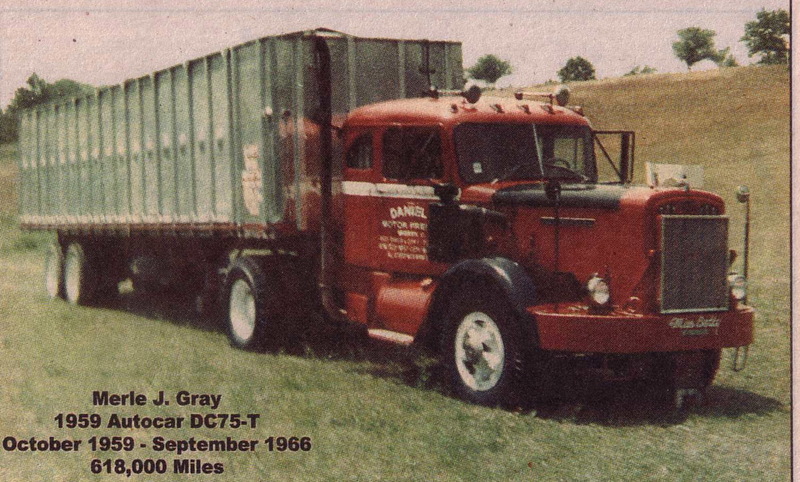 First, the photo of a shiny new red 18-wheeler caught my eye, and I thought it would be perfect for an article I had written years ago, “The Unusual Life of Uncle Merle Gray,” so I digitized it and inserted it appropriately. But then it occurred to me that Uncle Merle had taken so much pride in his life as a Teamster, and that this knowledge and self-assurance was not unlike that of his Great-grandfather William Gray (1816-1879), who had served the Union cause as a teamster during the American Civil War as revealed in my article, “Our Grays in the Civil War book, Under the Red Patch.” I concluded that I should share brief bios of both men and the story from the truckers’ magazine to let our readers see how certain aspects of occupational skills and vocational callings remain similar down through the ages. Of course there are marked differences too. First, what is/was a teamster? Wikipedia gives a wide range of definitions from teamster with a small “t,” which our William was: one who drove a team of horses, mules, or oxen pulling a wagon or cart, sometimes called a “wagon-master.” If one considers such animals and wagons as a metaphor for today’s tractor-trailers, then our Merle was also a teamster, with a lower case “t.” However, Merle was also a Teamster with a capital “T,” a member of the International Brotherhood of Teamsters labor union founded in 1903. Freight haulers first organized in 1887 under the American Federation of Labor. Now, let’s look at the work each man did. William Sylvester Gray was a farmer who worked the land in West Deer Township, Allegheny County, Pennsylvania. He had earned the ownership of that small farm through his marriage to Elizabeth Leslie (1818-1895), whose parents, George and Jane, had cultivated a generation earlier. According to the various U.S. Census, William had also been a butcher, so we believe that he not only knew plants but also animal husbandry and probably drove horses not only in the fields but also in making deliveries. As did so many of Western Pennsylvania’s young men, William enlisted with the Grand Army of the Republic (GAR) shortly after the Civil War began in 1861. He and his oldest son Samuel joined Company E, 63rd Regiment of the Pennsylvania Volunteers to serve with Lincoln’s Army of the Potomac. William would have been 45 years old with a wife and four children back on the farm, including Samuel’s 17-year old brother Robert who would be left behind to run the farm. 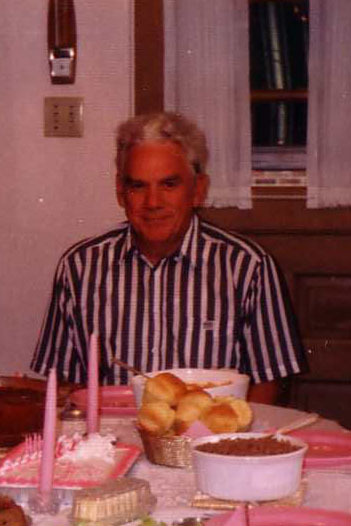 Robert would join the Blues in the last year of the conflict after father William returned, having been honorably discharged on a Surgeon’s Certificate. Robert’s military duty was Heavy Artillery with the Pennsylvania 6th Regiment defending Washington, D.C.
Not long after being deployed to Camp Johnston near Washington, D.C., both William and Samuel and many other men nearly died when a Typhoid Fever outbreak scourged the Northern units. After recovering, William and Samuel saw action at such famous fronts as “The Peninsula,” “Yorktown,” “Williamsburg,” “Fair Oaks,” “Fredericksburg,” and others. Samuel was captured in the same battle that saw the death of Confederate General Stonewall Jackson, namely “Chancellorsville.” He would serve time in a parole camp and be traded back to the North just after the Battle of Gettysburg. William was not so “lucky” to escape the Gettysburg Campaign of early July, 1863. 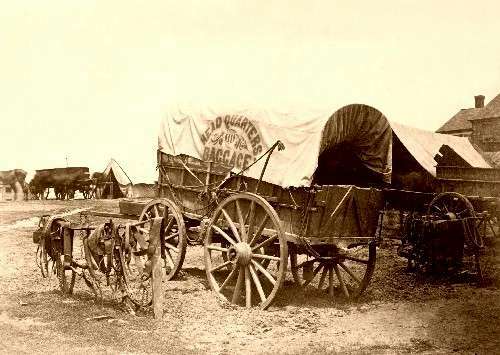 His knowledge of horses, mules, and wagons had earned him the position of teamster, but he carried more than groceries. Teamsters were expected to transport dead bodies for quick burial and maneuver their teams in pulling the caissons and cannon into battle. While we don’t know exactly what reason the Surgeon’s Certificate gave for William’s early release, we can only imagine that his body and mind had paid a dear price for the duties he was expected to perform. 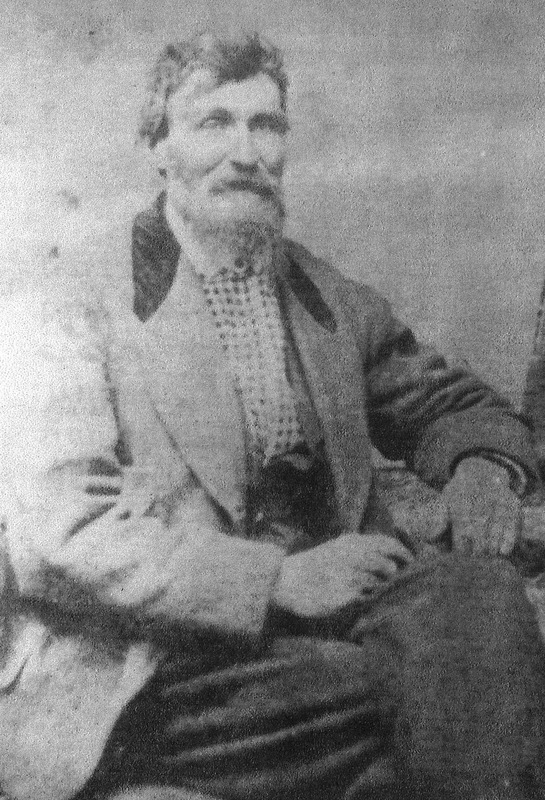 William was back home on the farm before the winter of 1863. His name is listed on the grand monument to the Pennsylvania Volunteers on the Gettysburg battlefield. William and Elizabeth produced seven children, although only five lived to adulthood. The farm was eventually passed on to young Robert and then to his son, William Garfield Gray. Skip ahead several generations to Robert’s grandson Merle Jennings Gray of Butler County, PA, the seventh of twelve children of Paul and Bertha Gray. To summarize his unusual life is to include his working on area farms while still in junior high school, hitchhiking to California at age sixteen, and enlisting in the U.S. Marines before he was eighteen, without his parents’ permission. He became one of four Marines in the Paul Gray family. Despite having high ambitions for military advancement, World War II ended and he was sent home. He soon married the girl of his dreams and was with her until his death almost 7 decades later. Her name was Elizabeth Margaret Meinert, but everyone knows her as just “Betty.” They raised four children, three boys and a girl. This 1959 Autocar DC-75T tractor was purchased new by Merle Gray from Valencia, PA in November 1959. A.R. Bo-arts in Butler, PA, was the local dealer for White and Autocar trucks. The purchase price of this new A-car was a grand total of $14,000. It was equipped with a Cummins NTC-175 hp engine, a Fuller R-96 10-speed Roadranger transmission, 10×20 Goodyear tires, and the original Integral sleeper. Given that the length laws in the late-50’s limited truckers to 45-feet, most road tractors were equipped with single-drive axles. Dad was leased to Daniels Motor Freight from Warren, Ohio, and initially they provided 32 and 35-foot trailers, but when 38-foot trailers were introduced, many over-length fines were to be paid until the overall length laws were changed. Then, as today, fuel costs were very important to owner-operators. Fuel cost averaged 20-cents per gallon and the A-car averaged between 7 to 8 mpg. Sometime around 1964 the truck was upgraded with a turbocharger and the addition of a tag axle to give the old girl a little more power and payload hauling abilities. The trailer in this photo was a Converta-Van, which was a flatbed trailer with removable aluminum high sides, making it capable of being used as a flatbed or a highside open top trailer. This was a man killer to convert this trailer, but it was very versatile and could be used for many types of freight. Throughout Dad’s ownership of the A-car it always carried my mom’s name on the front bumper, “MISS BETTY.” Although Dad owned many other trucks after this one, MISS BETTY was always his favorite. Thanks for sharing that information, Cousin Dave. How far transportation came in the 100-years between William Gray’s Civil War and his Great-grandson Merle’s 1959 Autocar. Today commercial trucks are even longer; some come in two sections. Some carry satellite tracking devices, efficient aerodynamic features, and of course the latest video, sound, and computer capabilities. Many will travel millions of miles earning large paychecks for their owner-operators; some crossing international borders. Of course their initial cost would have been considered prohibitive by earlier generations of teamsters. What will the teamster of the future own and operate? In closing, I hope you can join me in appreciating the connection between William Gray, teamster, and Merle Gray, teamster. I also hope you take a few more moments to read earlier articles on these two men for some of the details we’ve had to leave out because of space considerations. I would especially ask you to read a very special transcript of Merle’s eulogy delivered at the funeral of my brother Carl in 2004. Merle’s teamster pride was big enough to want to encourage Carl to join him in the trucking business, even going so far as to finance the endeavor. As his Great-grandfather William before him, who enlisted to preserve the union of the country he loved, Merle put his money where his mouth was by helping the next generation of teamsters get started. We’re extremely proud of both men.